There are 16 reviews of Batucada. Put me in that strange number of people who actually really like Batucada. I read the negative reviews, and it's clear we have the exact same bottle of scent, but for whatever reason, these notes appear to be a completely idiosyncratic love/hate proposition. Batucada has a heavy dose of patchouli in its base, no doubt, and my skin loves patchouli, even if I'd prefer not to have it be so amped up and hippie-scented. The base of Batucada is very patchouli. What I get, apart from that patchouli bassline, is mint, lime (amazing, tart, completely unisex lime, nary a hint of old-school aftershave), a touch of light flowers, and...molasses. This presumably is the alcoholic drink note, since it's sugar-based. Batucada is a very strange fruitchouli, essentially. After an hour, it settles into more skin notes and this incredible, salty marine note. It's so salty you can taste it. This is my favorite bit of all of the good bits, in truth. There's something scruffy and unpolished to this fragrance, almost dirty, which isn't going to be everyone's thing, certainly. There's a lowdown hint of slightly unwashed skin, but it's paradoxically pleasant, not an offputting and pungent funk. I have discovered that this perfume, on me, is almost exactly a match for the scent/flavor of Kevita Mojita Lime Mint Coconut kefir drink. I am not joking; it's an uncanny analog. I checked with the highly scientific method of closely comparing my sprayed wrist with an open bottle of the kefir drink. But really, it's remarkably close. I'm totally good with that, and totally good with this weird, funky, green scent, but I can see exactly why it would fail for other people. This is a very fresh, green, salty and aquatic scent with touch of woods and very faint florals. Right at the start I can smell fresh lime that has a tart and very bitter aroma just like the smell and taste of it’s peel and there is a very salty green note right beside it to amp up the freshness. it does smell fine but it’s also very boring! After a few minutes lime is gone and only thing that I can smell is salty green herbs and very transparent peppery cedar wood and slight amount of clean musk. It’s funny but mid of the fragrance smells kind of like pickled cucumber! when you open a jar of pickled cucumber a strong salty bitter herbal (mostly tarragon) aura comes out of it and this fragrance reminds me of that moment. In the base bitter green and salty feel settles down quite a bit and scent gets more musky and slightly sweet and now extremely light florals joining in to end changes of this fragrance on your skin. Even though it’s an aquatic fragrance projection is mostly close to the skin and longevity is decent and around 3-4 hours. You can do much better than this with your money! don’t waste it here! This is pure calone on me, and it a total scrubber. I have 2mL, and hate it so much that I won't even be finishing the sample. Awful, awful, awful. I feel like the crux of Batacuda's performance, much like a crappy mixed drink at a bar, is too much sugar. The fruity, playful, and alcoholic aspects of the fragrance are not bolsterd, but rather bogged down by an excess of syrupy sugar. This effect diminishes a bit with time, but the opening is too thick, the drydown a little too spare, and the perfect balancing point in mid-transition is over far too quickly. Overall this does remind me of fruity chewing gum from the early 90's. It is kind of immature in spirit, but I concede that it is fun. Certainly a once-in-a-while party scent. Batucada in Brazilian culture is a form of the Samba dance charachterized by a fast and repetitive motion. What that has to do with the name of this fragrance is anybody's guess as is L'Artisan's intentions behind this fragrance. I believe Batucada is the product of a designer trying too hard to create an interesting and complex representation of another house's success. In this case it seems to be an attempt to replicate Creed EROLFA, MI and Virgin Island Water rolled into one. The end result is a fragrance that has sweet fruit mojito, tropical floral, mint, coconut, sea brine, soft woods and sharp woods that's brought altogether in a calone tonic mess. There's absolutely nothing interesting here and the mix of notes and transition is nauseating and headache inducing. 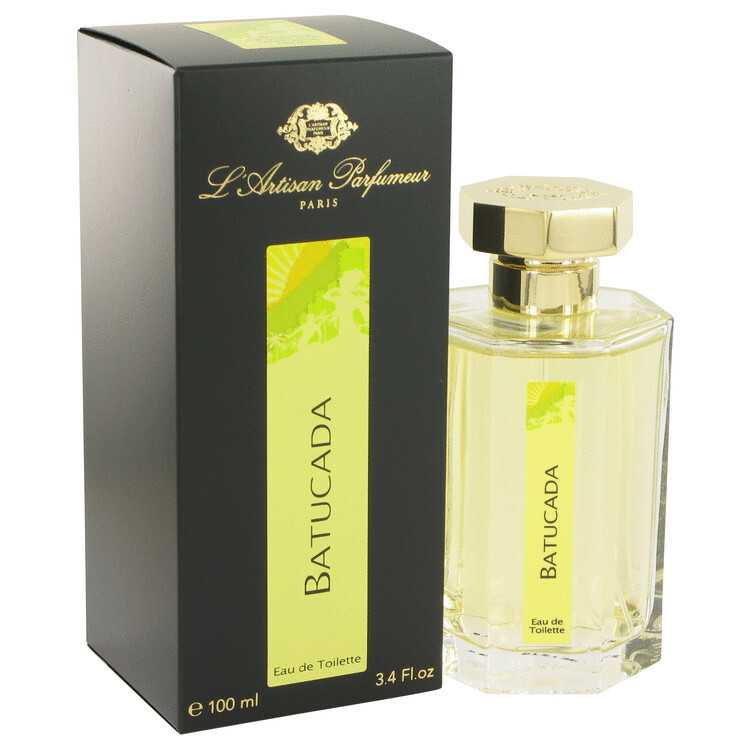 L'Artisan has some interesting and compelling fragrances, however Batucada is not one of them and better left to the Carnivale. OK, so Batucada is a fairly dumb tropical fruity floral, but I don't hate it nearly as much as my fellow reviewers. After a quick shot of sparkly fruit punch (mostly peach, strawberry, and pineapple, to my nose), it settles down to a cumin-inflected skin smell mixed with hints of salt air and rum, while the pineapple lasts into the drydown. 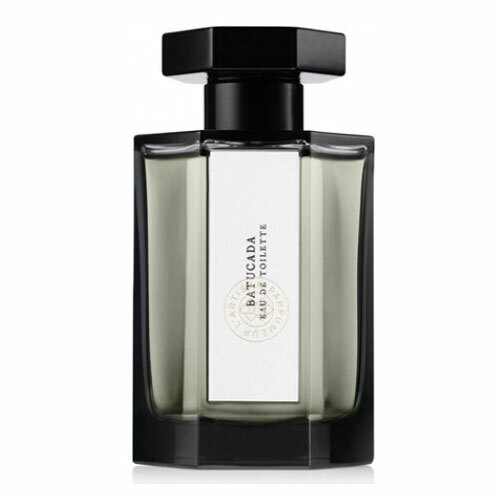 Honestly, I've had the best luck with Batucada in cold weather, which brings out a slightly indolic coconutty ylang that I could be called a neutered tribute to Black Orchid, but provides a good foil for the pineapple/rum combo. There are no member images of Batucada yet. Why not be the first?